Pepsi has done it seven times. Walmart has done it six times. Microsoft, four times. The evolution of famous and big-name company logos over the years is a fascinating look a design, function and importantly: branding. WebUrbanist has fascinating article, rich in graphics, on the changing logos of our nation’s favorite brands and is a timely reminder of how things change. 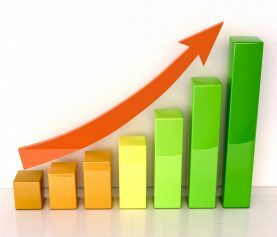 WWWebMaster started as a web design company in 1995. We recently turned to the WayBackMachine and pulled-up our first archived screen capture from December 1996 and captured our old-school Web Master– our first online branding. It wasn’t until February 1998 that we adopted the earth with the “W” ring. 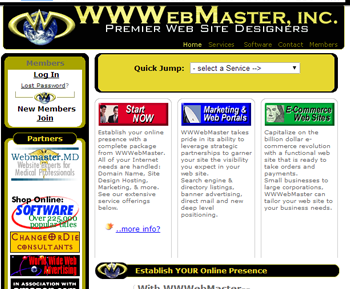 One hundred and twenty-two screen captures shows the evolution of WWWebMaster, Inc. as a business but one thing that stayed through the past sixteen years was the signature logo. This month, we’re tearing everything down and building back-up from scratch, with a focus on the important solutions and skills people and businesses need for the 21st Century. To assist in our focus, we’ve modified our logo to incorporate a more aggressive “W” and adopting a more photo-realistic earth. Twenty years in business is a long time. 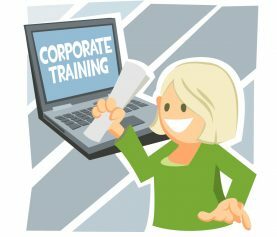 We’re happy to enjoy the many wonderful people we partner with in adapting technology solutions to improve their business! Copyright © 2017 All Rights Reserved. 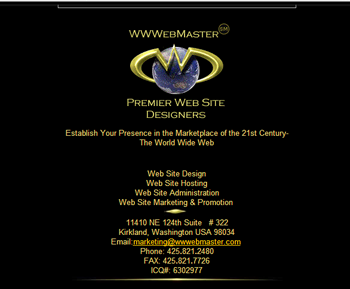 WWWebMaster, Inc.